Gavrilov L.A., Gavrilova N.S. Personal Profile. 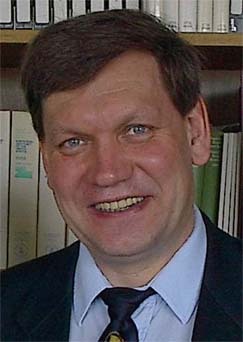 Interview with Leonid A. Gavrilov, Ph.D. and Natalia Gavrilova, Ph.D. Interview by Vicki Glaser. Rejuvenation Research, 2009, 12(5): 371-374. DOI: 10.1089/rej.2009.0979. Gavrilov, L, Gavrilova, N. 2009. Biological age and exceptional longevity. Gerontologist, 2009, 49: 90.